Sometimes a simple, everyday object can take you away on great adventures. 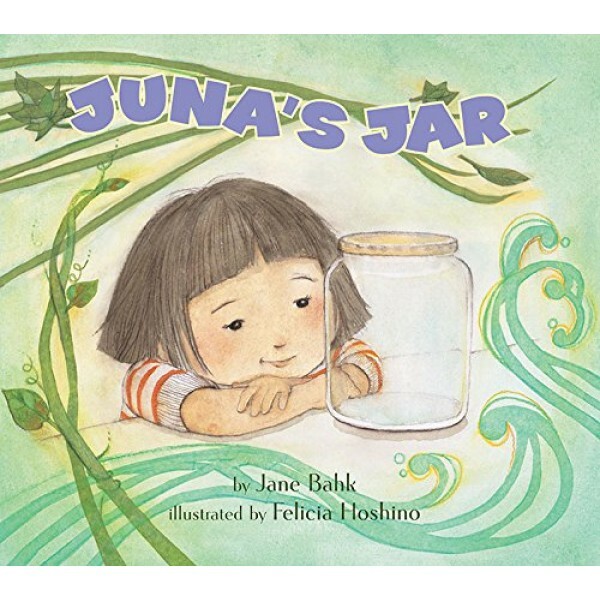 Juna and her best friend, Hector, have many adventures together, and they love to collect things in empty kimchi jars. Then one day, Hector unexpectedly moves away without having a chance to say good-bye. Juna is heartbroken and left to wonder who will on go on adventures with her. Determined to find Hector, Juna turns to her special kimchi jar for help each night. She plunges into the depths of the ocean, swings on vines through the jungle, and flies through the night sky in search of her friend. What Juna finds is that adventure and new friends can be found in the most unexpected places. 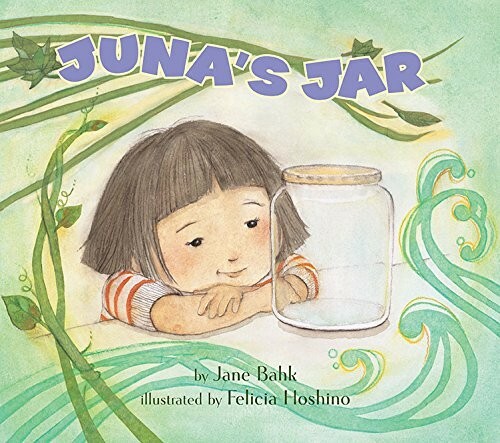 Coupled with dreamy watercolor illustrations by Felicia Hoshino, Juna's Jar is a heart-warming and whimsical tale about the power of the imagination.